According to Eurostat (2008) there are nearly 4 million people migrating every year within the EU. About 2 million of these come from outside the EU and 1.5 million are EU citizens migrating to a different member state. 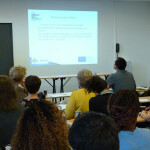 The EU policy on integration of non-EU citizens was agreed in the European Council’s meetings in Tampere (1999) and Le Hague (2004) and is based on a set of 11 Common Basic Principles for Immigrant Integration Policy in the European Union (CBPs). CBP 4 states that ‘basic knowledge of the host society’s language, history and institutions is indispensable to integration; enabling immigrants to acquire this basic knowledge is essential to successful integration’ and CBP 3 stresses ‘employment is a key part of the integration process. ASEV (Italy), VHS (Germany), IFI (Spain) are adult training organizations routinely teaching their respective national languages to migrants. Some L2 teachers of ASEV have signalled that no specific materials for teaching /learning the national language to migrants were available. This has been shared and discussed with the other partners that confirmed almost all the available materials for teaching their language as L2 are addressed to wealthy / cultured people that travel for leisure or study. Desk research was carried out showing that out of 10 colloquial L2 courses we examined (5 for teaching IT, 2 ES, 2 DE, 1 EL) focus mostly on leisure activities: going out to a pub or restaurant, shopping, visiting museums and monuments, travelling in the country, dating etc. However, the typical situations faced by migrants settling in a new country (to look for stable accommodation, to look for a job, to cooperate with employer and co-workers in a foreign country) are ignored or marginalised. 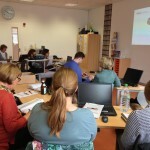 The partners decided to submit this project to produce materials to make L2 learning by migrants more effective. The materials will be used directly as well as made known to and shared with other organizations working with migrants. 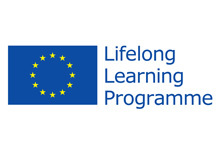 The new European project “L-PACK 2: Citizenship Language Pack For Migrants in Europe - Extended” started in January 2014 takes its name from the previous project L-PACK that produced an online A2 level course of colloquial Italian, Spanish, German, Lithuanian, Greek and Czech as second language addressed to adult migrants. The L-PACK course consisting of 60 short videos with dialogues related to everyday life supported by grammar and comprehension activities had a big success and the materials, available on Youtobe, Wikibooks and Soundcloud, were consulted in 146 countries by 120.000 learners. However there was lack of English and French versions, therefore the Consortium of 8 partners, among which several training organisations and 2 Universities, decided to improve it. HOW WE ARE GOING TO IMPROVE THE TRAINING MATERIALS? 30 videos in 7 linguistic versions will be enhanced for speech exercising giving to learners the chance of recording their voices. 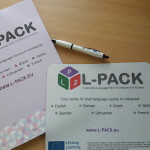 L-PACK 2 is addressed to language teachers, researchers of linguistic and educational fields, adult education providers, adult migrants in Italy, Lithuania, Germany, Spain, Greece, France and English speaking countries, organisations helping migrants’ integration in these countries or people interested in learning one of the target languages.